I can't believe it's already the last day of June!! Where has this year gone?! So crazy! Well, today is another short and sweet post. It's the only undies I used that wasn't in another post. I might have posted about this one before, but things have improved around here since the last time, so you get to see it again! 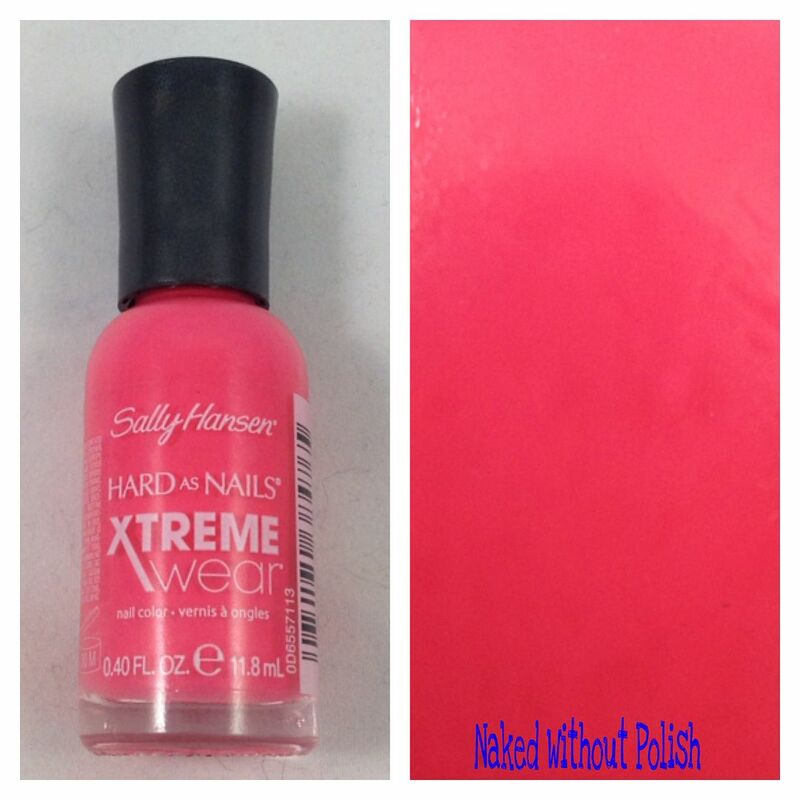 Yesterday I showed you all some swatches of a couple Sally Hansen Xtreme Wear polishes. While I was swatching, I thought I'd have a little fun with them and decided to play with some glitter toppers. On this lovely Tuesday I decided to show off another beauty I hadn't posted here. I've worn it a couple times and I never got pics of the manis. Such a shame too, because I remember they were so much fun! 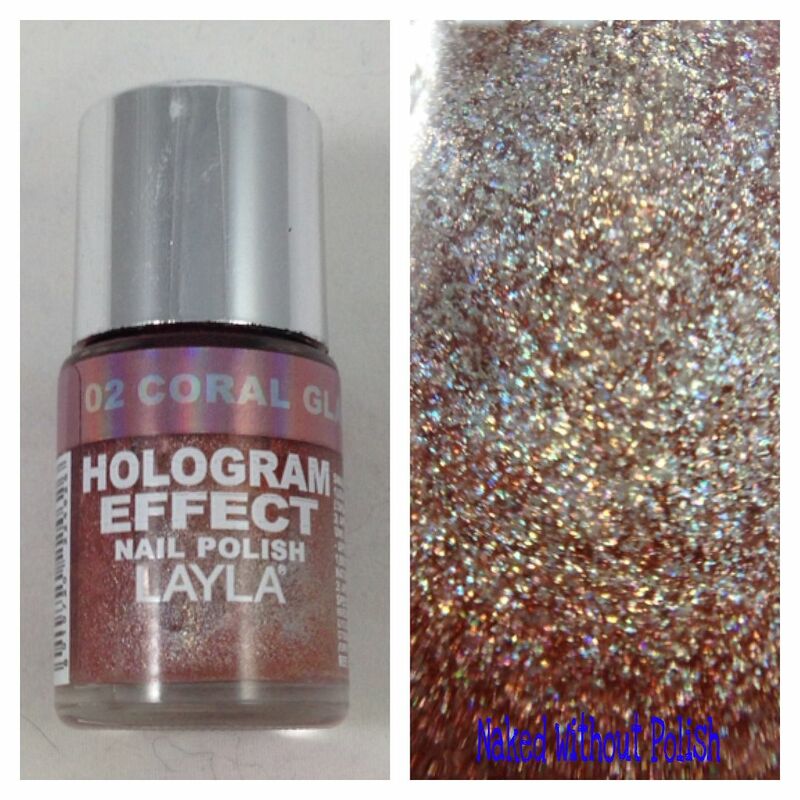 Anyway, I believe this was the first Layla beauty I snagged at Ulta. I saw it, and it practically jumped into my hands. It's Friday!!! As much as this week seemed to be dragging early on, once Wednesday hit it just flew by! Anyway, onto the good stuff! I had a lull of things to review, so I dug through my stash to find something I've had some fun with but might not have shown you all. 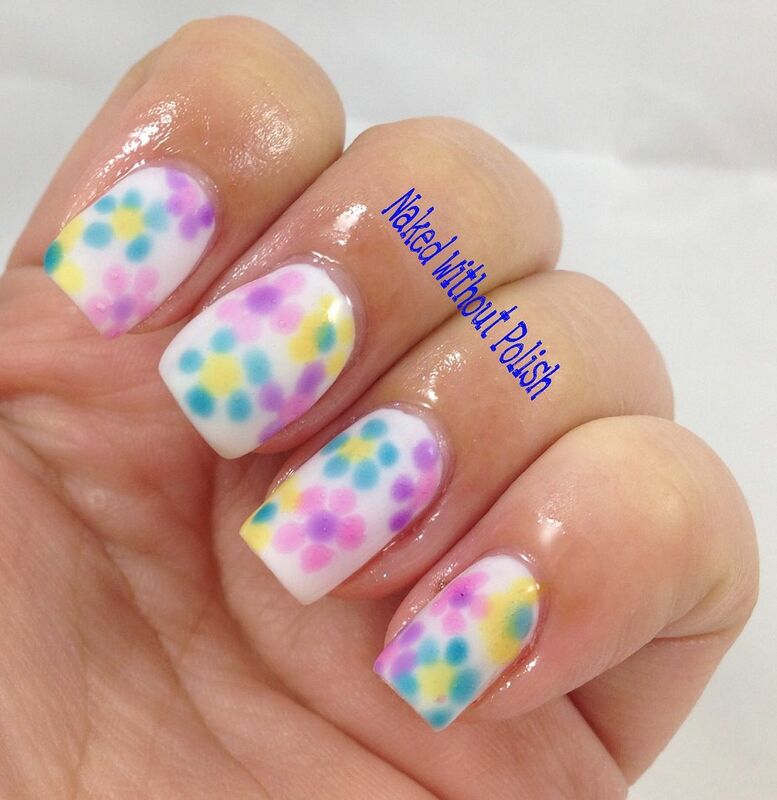 I came across this beauty from Nail Pattern Boldness. 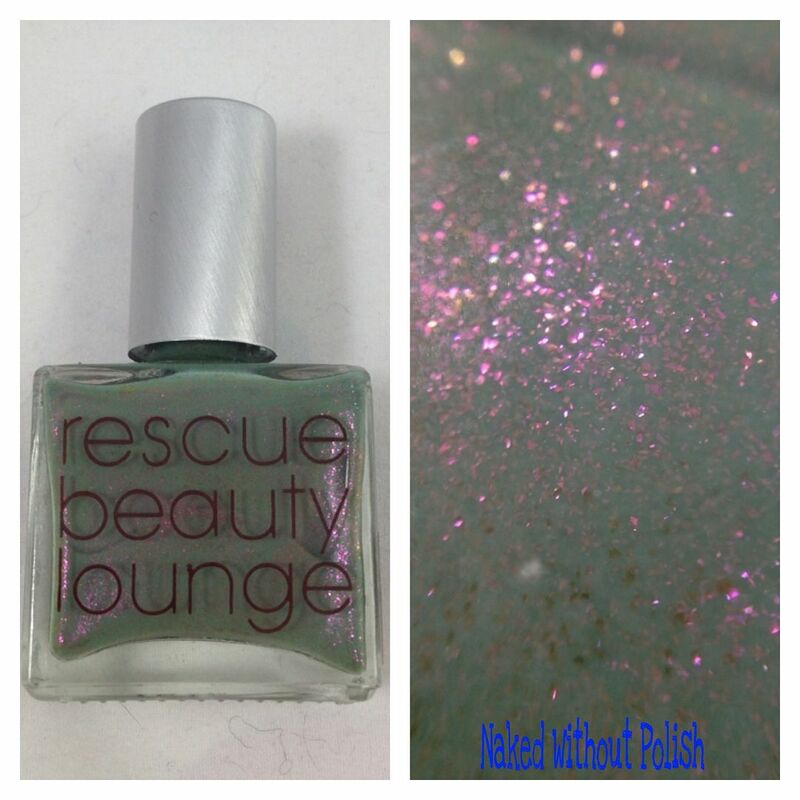 I received it in a swap and somehow it was put in with regular polishes and I hadn't used it yet. Shocker! 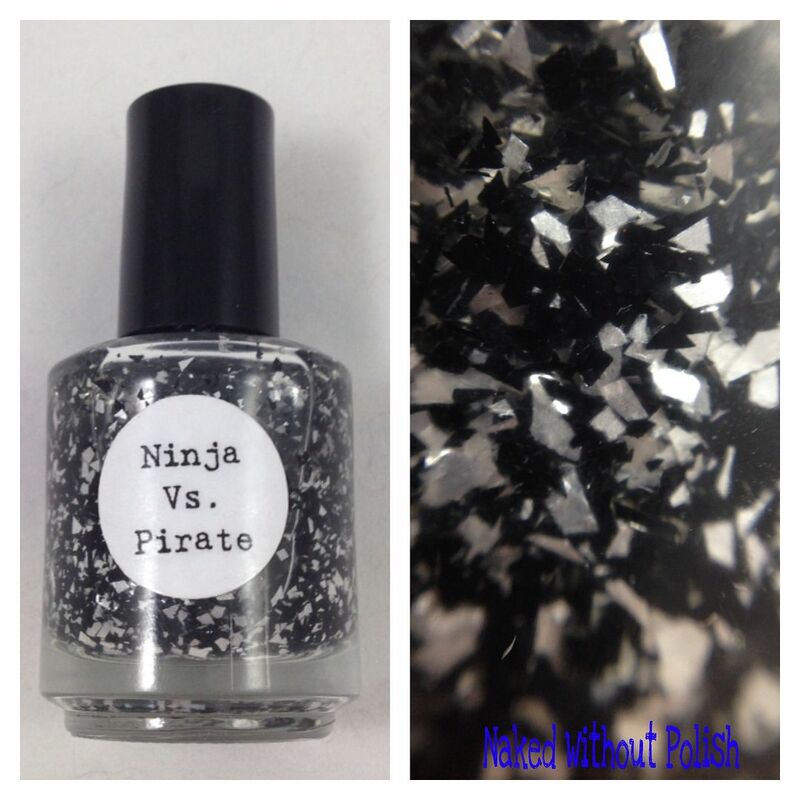 I had Ninja vs. Pirate for almost a year and hadn't used it. I could kick myself!! 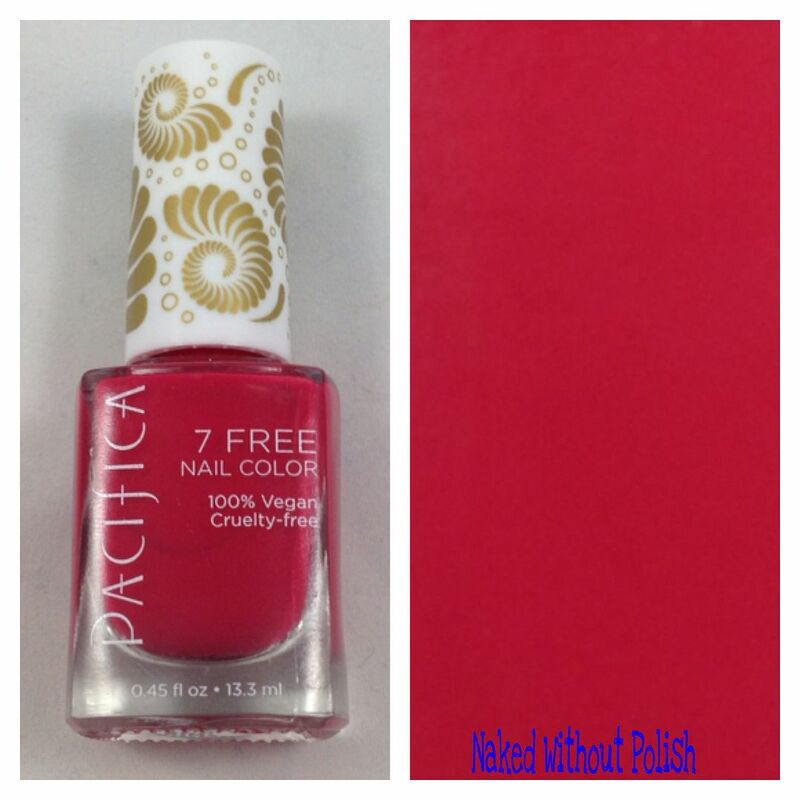 A while back, a friend sent me the four pack of mini OPI Sheer Tints. I hate to say that they have been in my untried pile for so long and kept getting pushed back. I completely regret not using these sooner. They are so much fun! Take a peek! Happy Monday, everyone!! When LynBDesigns released her newest LE shade, a friend bought one for herself, and one for me!! She's new to the polish world (guilty party here) and it was her thank you gift for introducing her to this crazy addictive world! I was beyond excited when the bottle arrived (along with the newest collection to swatch...OH.EM.GEE.!!) and I saw she tossed in a second bottle. She didn't tell me she was sending a second polish, so I messaged her. Sure enough, she thought this beauty deserved her own giveaway. 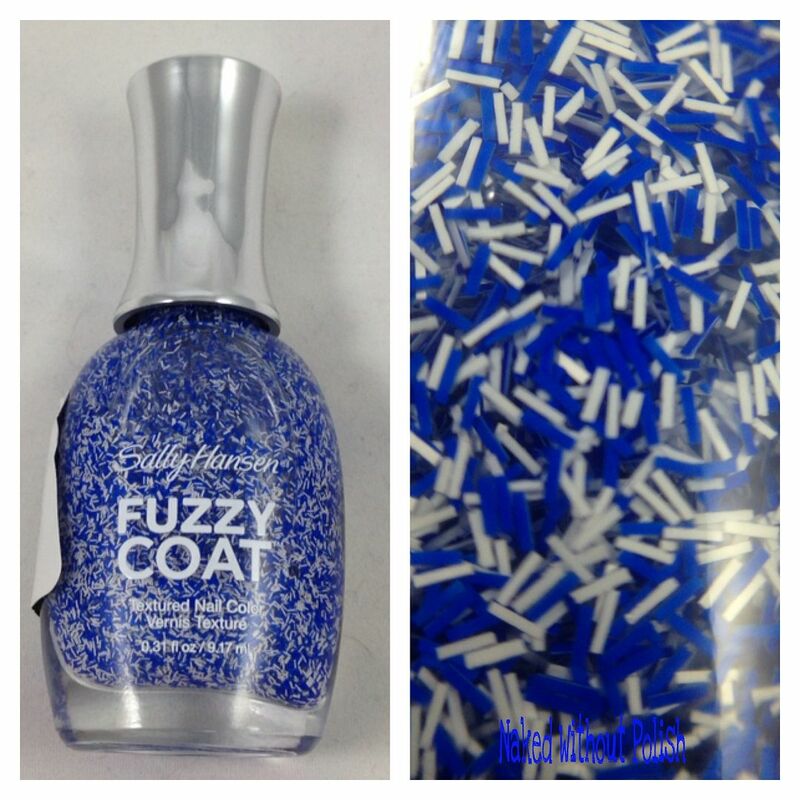 This polish is sold out so this giveaway is your last shot at getting one! So, check out the pics below, see what you'd be getting yourself into, then enter the giveaway!! 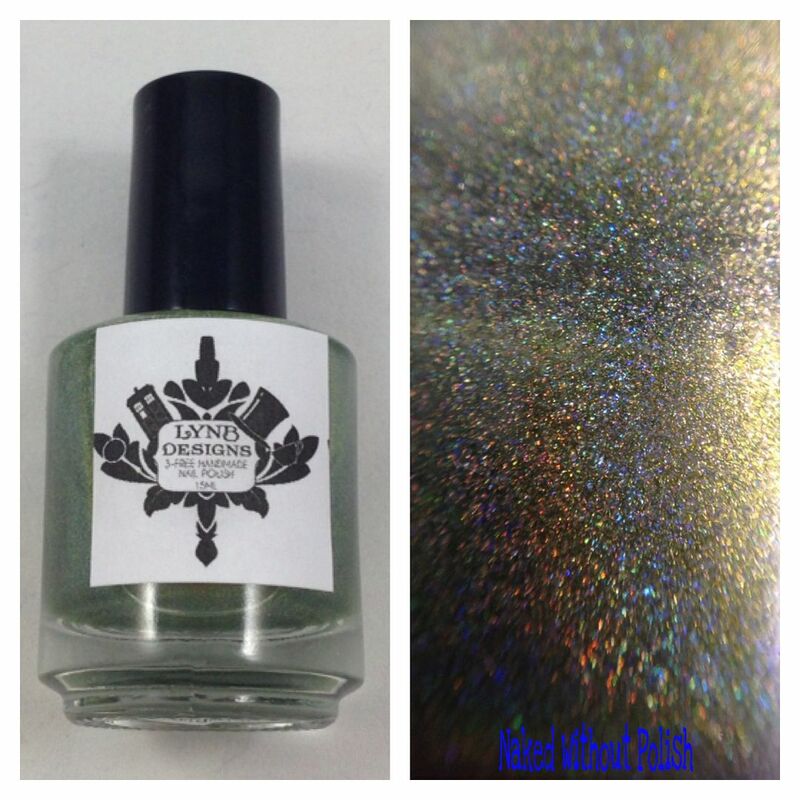 Yes, I've got another Cinema Swatch Lacquer post for you today. 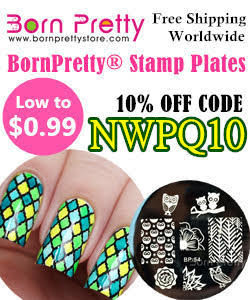 However, this one does not include polish. 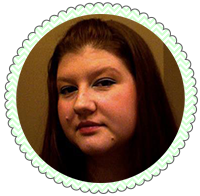 Did you know that there is another side to her business called Starlette. She offers scrubs, balms, fizzies, and even polish remover! She sent me a small 4 oz bottle of Deleted Scenes polish remover to review as well as a small bag of some upcoming products. I have a beautiful collection from Cinema Swatch Lacquers to show you all today. This dainty set of colors is the Marie Antoinette Collection inspired by the movie Marie Antoinette. Yes, this collection has been available for a little while, but I just received it. Hopefully I will be able to show it to you in a new light. 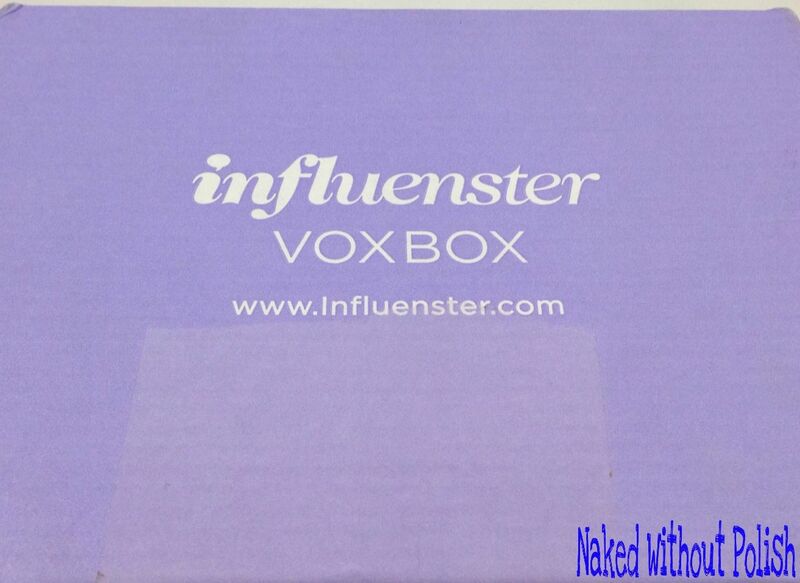 I got another VoxBox from Influenster! This one is the TLCVoxBox. It is pretty much the perfect care package for a mom. Ready to see what I got? 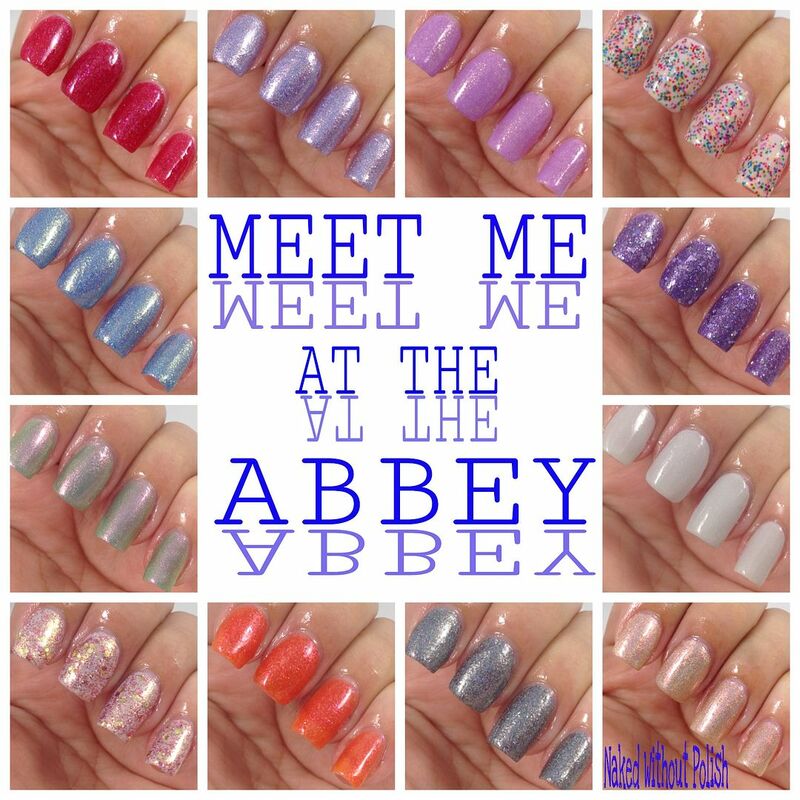 Last week, I got to show you all swatches of the beautiful colors of the Keys Collection from Barielle. I decided to play around a bit. I'm not great at nail art, but sometimes I feel like giving it a go. This was one of those times. I didn't do anything fancy, but it was fun! Check it out! HAPPY HAPPY MONDAY, EVERYONE!!!! I hope you all had a lovely weekend! I had a fantastic one until I spent an hour in our downstairs hallway last night during a bad storm trying to keep a toddler and a puppy calm. 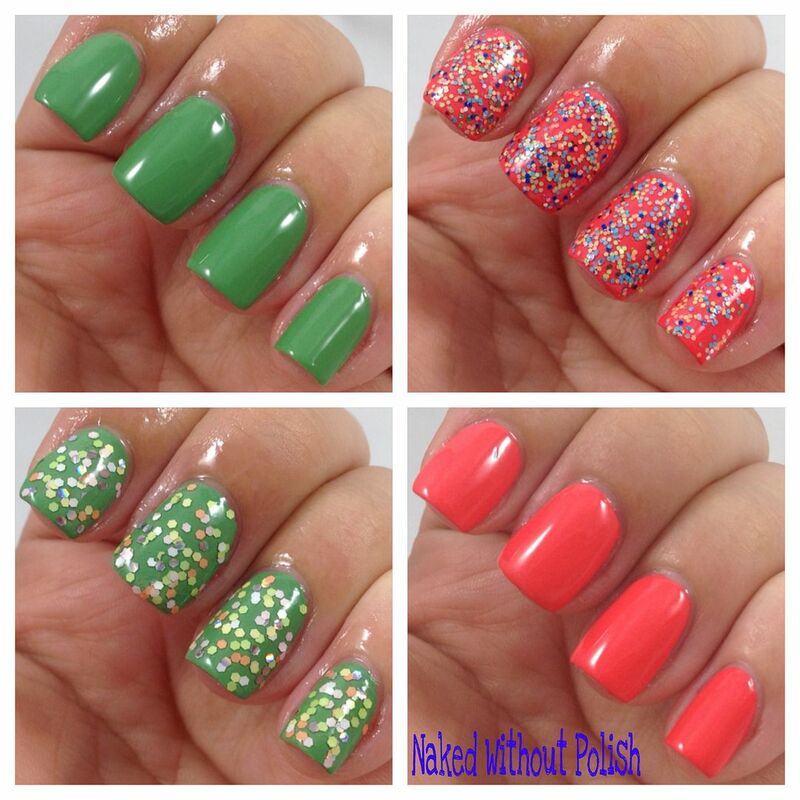 haha We survived, and I've got three beautiful polishes from Treasures by Tan to show off today! It's that time of year again! Time for us to be dredged in all things red, white, and blue. I admit, I'm one of the ones who secretly gets annoyed, but really it's because it's just always the same ol' same ol'. I want the patriotic shades to be done in a new way. A way that is going to really get me excited! 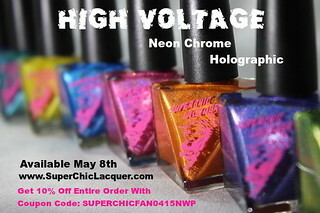 Well, it seems that Jennifer over at SuperChic Lacquer found a way to do it! 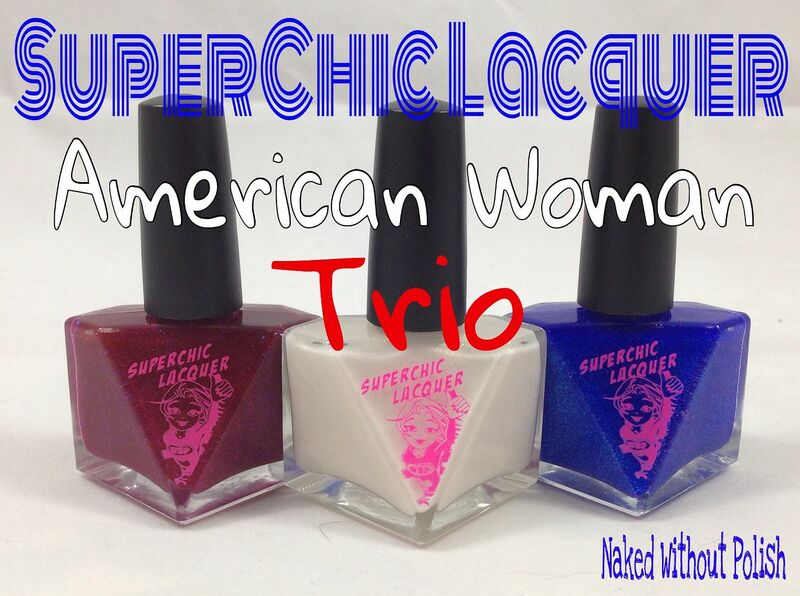 She's releasing her American Woman trio, and yes, it's red, white, and blue, but these are elevated to a whole other level. I've had this mini set for a bit and it just kept getting covered up. Boy, oh boy, how I've been kicking myself for doing that!! 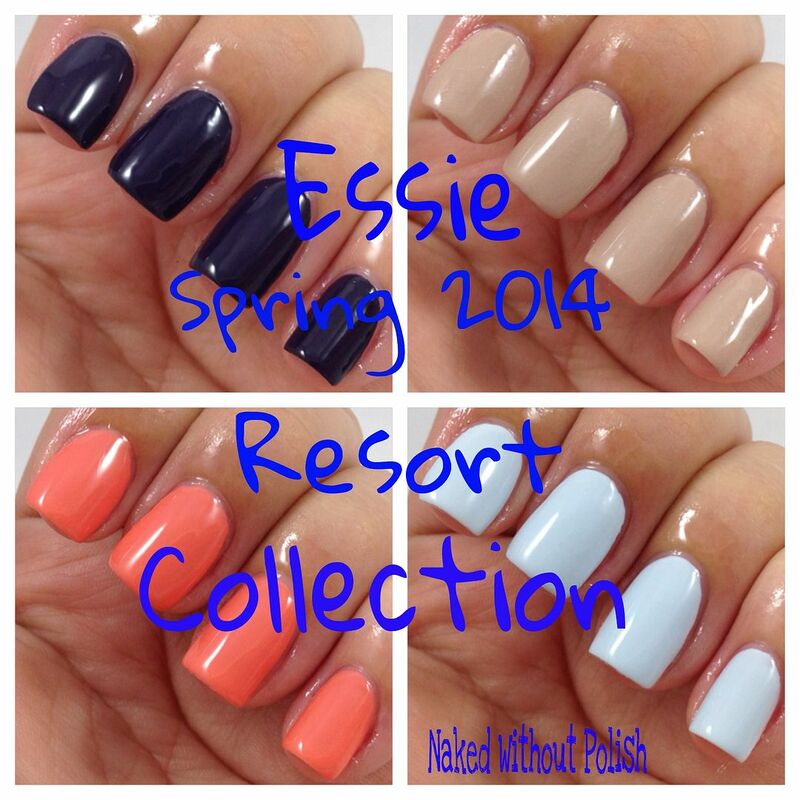 Yes, this set of four don't look like anything special, but Essie has stepped up their game and has improved formulas! I was one of the people who shunned Essie for the longest time, only breaking my vow when I saw a color I just had to have. When the press release of the Spring 2014 Resort Collection arrived in my email box, I was done for. I knew there was something special here. I was down in North Carolina visiting my mom a couple months ago and had picked up a few polishes by Milani while down there. My stores don't get in the good stuff from them and their displays stay empty (or at least they always are when I go in), so when I saw these while I was down there, I knew I had to get some. The bag these were in got misplaced, which it why it took me so long to swatch these, but OMG are these creme formulas fantastic! Keep reading to see more!